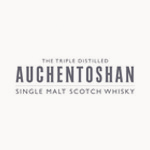 Auchentoshan Distillery lies just within the Lowlands region, in West Dumbartonshire. Interestingly, however, its water source is near the Cochno Loch in the Kilpatrick Hills, which is in the Highlands. Triple distillation of the spirit gives it the sweet and delicate flavours that have become typical of all Auchentoshan whiskies.